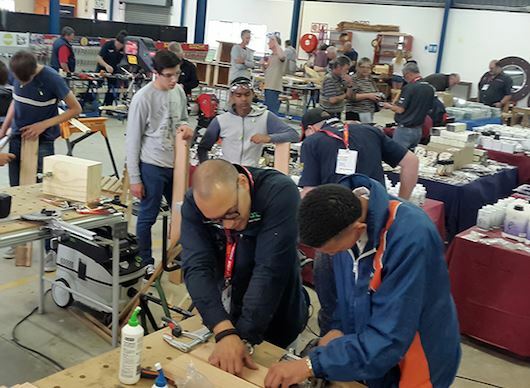 To celebrate its 18th annual Vermont Sales open day trade show, the company has extended the event to 3 full days, Friday, Saturday and Sunday 16 – 18 March. The show will take place at its warehouse facility. “The plan is to make it the most exciting and interactive show to date making it extremely worthwhile for all our customers and international guests. The extended day allows our customers more time to see all the brands and products on display, view all the demonstrations, relax and take their time, meeting all the international guest suppliers and get to know the Vermont Sales team,” says Dale Engelbrecht, Director at Vermont Sales. The show offers customers an opportunity to grow their range of products for their business with the large range of available brands plus the interfacing with the international contingency of suppliers from Germany, USA, Austria, Poland, Canada, Japan, the UK, and Africa. This is the opportunity to gain valuable insights in world hardware trends. Over 50 brands and well over 3000 products will be on the display, all the latest new products from Festool, Tork Craft, Nes, Alpen, MPS, Kreg, Olfa, Bessey, Bondhus, Drill Doctor, Plug Fones, Imperial, Triton, Mag Switch, Felo, T- Reign, Saw Stop, Spring Tools, GAV, Aircraft, PG Professional, PG Mini, Pony Tools, PRO-TECH, Rawlplug, Armor, Flexi-pads, ACCUD, Souber Tools, Fixman, Howard, Key-Bak, Schroder & Energizer etc. Plus, brand new brands such as Rugged Croc, Cadex, Miles. Maun and more. For more information contact, Vermont Sales on 011 314 7711 or visit their web site www.vermontsales.co.za Trade enquires welcome 011 314 7711.